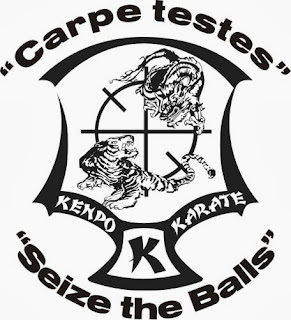 The musings of a martial arts instructor-at-large. There's a rumor that we're running out of rooms and it's not so. We can take more than 65 people for the seminars if the additional people book rooms off the ranch in Bandera. The ranch has a limited amount of rooms. After you register and receive confirmation from us, then call the ranch to get your room reserved. Most rooms will accommodate several people but if you want to have your own, you can. The ranch charges us by the person, not by the room. If you want several people in your room, just tell them at the ranch when you call. If you'd rather not take a room just for yourself to allow others to "pack a room", your option is to book at a Bandera hotel and just pay the seminar/dining option. The shirts are back in black for winter. 20% off when you buy them on my website. Go to www.wedlakekenpotv.com/leewedlake/store, use the code holiday12 and hit the apply coupon button. I'll autograph them for you, too. My new book will be out in the Fall of 2014. My books now will go off the market June 1st. The new books consolidates Kenpo Karate 101 thru 601 and adds new chapters. This is not just a reprint. New photos, new information. The cover has been done and the marketing guys are working out their strategy. The publisher is Blue Snake books. More to come. I've recently added several clips of Ed Parker which have never been posted before because they are in my personal collection. He's seen teaching Short Three, Four, Finger Set, basics and techniques. You'll see him move and hear him tell his stories. I will be posting more, including him doing nunchaku. It's a few days late due to being away for two weeks in November. The title is Changes. Should be up next day or so. Below is what you'll find on our Facebook page (2014 Texas Kenpo Conference) and on the registration link. There's a countdown on the page and it gets lowered every time we get a paid registration. Welcome to Texas! In the spirit of past camps hosted by our lineage friends, this year’s event will be held on a guest ranch outside San Antonio, giving you a real Texas experience. This weekend will be the anniversary of Sibok Tom Kelly’s birthday and we dedicate this event to his memory. We’re expanding the schedule with classes starting during the day Friday. We also reduced the number of simultaneous classes so you don’t have to struggle so much with “which one?” Topics and instructors are listed below. Registration: all-inclusive fee with early registration before Feb. 15, 2014 is $450. $495 after and up to the event, space permitting. Registration includes lodging, six meals, use of all amenities including horseback riding*, any/all seminar sessions, participation certificate, and a patch. * See their website at www.ranchocortez.com for the full list. Due to space considerations, participation will be limited. You can bring family members if they want to take advantage of what the ranch has to offer, and there is a separate fee per person. If you do not want to stay on the ranch you can get a rate that includes seminar fee and meals only. Transport: The ranch has a 10 passenger van that can transport to/from SAT. $125 each way. Plan to fly in/out close in time so you can share the costs (arrange this through the ranch) or rent a car. Capacity : The ranch has limited capacity, so register early. Lodging ranges from 14 person bunkhouse (dormitory, one for the men and another for the women, two bathrooms each) to rooms of various sizes, some of which can hold 4-5 guests. The single rooms are already booked. What to bring: The ranch is a mile down a gravel road off TX 1077 and it’s real dark out there so bring a flashlight. The rooms have no TV, telephones or coffee makers. Wi-Fi is available but cell service is spotty. The food is good and rooms comfortable. They have a small store, so you can buy water and soda, etc. but you may want to bring bottled water. They have a pool and spa, so bring your swimsuit. There is a workout room onsite, too. If you plan to ride the horses, bring your jeans, hat and boots. I've been training in martial arts since 1967 and earned my black belt in kenpo on June 2, 1975. A year later I opened my first studio in Palos Hills, IL. I have published eight books on Kenpo and am a traveling instructor and do seminars all over the US and overseas. 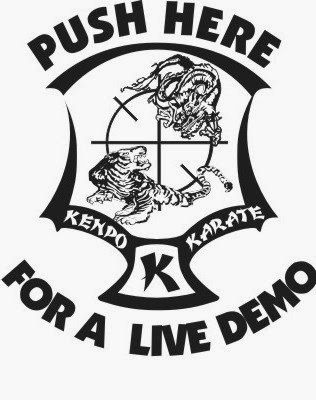 I am available for kenpo seminars in your area.